What would you do if today was the last day on Earth? Welcome to Brighton on Rock Night! The residents of Brighton wake up to discover there’s a comet on course with the Earth and they’ve only 24 hours to live. See what happens when you remove consequences from society and how a city reacts to the end of the world. 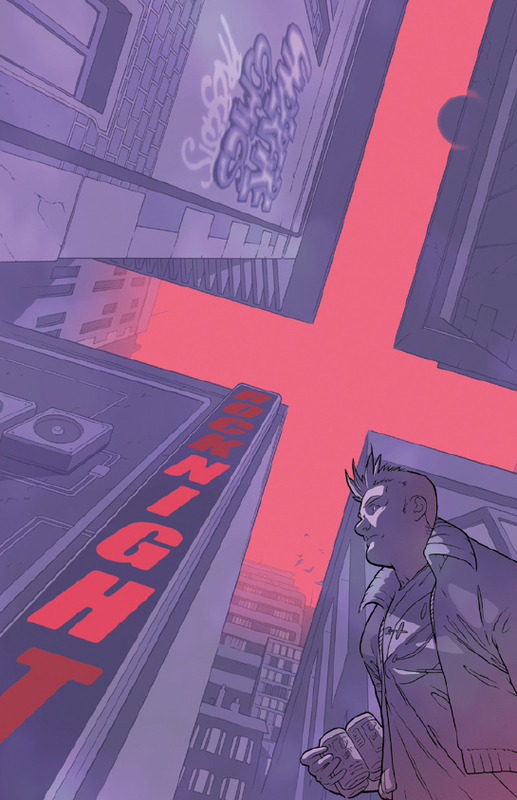 Featuring an eleven person strong creative team, Rock Night follows several different stories, all happening in and around the end of the world. Each story has its unique voice and takes a different look at what people will do if there’s no tomorrow. Conceived by Underfire Comics and published in 2008, this now out of print graphic novel is now available for download. Featuring the talents of Cosmo White, Nick Dyer, Bob Molesworth, Amsel VonSpreckelsen, Daniel Bell, Iain Buchanan, Jon Ridley, Oli Baily, Dan Cox, James Gray and Matt Norman.